Mover Kit is a wearable “active play” doodad that reacts to movement with light and can be programmed into an endless number of new toys. When I was just a runt still growing into my glasses, I had two favorite toys: a set of multicolored plastic magnetic letters, and the big blank page of the fridge. I’d slide and shuffle the letters around the surface; I’d jumble them and order them; I’d invert them and invent their new phonetics, and pretend I’d made a new language. At the time, it must have looked like child’s play. But looking back, I now recognize it as the formative educational experience it was. By literally playing with language, I was teaching myself its force and fluidity — letting it cohere into meaning here and there, stacking it into sense and scattering it back into gibberish. I was training myself for a life of writing. Big mistake. I should have been teaching myself to code. Stupid! Stupid! Of course, there weren’t all that many options at the time, and I was way more into Legos than Logo. I did clock some time futzing around with the Apple II at the youth library (inputting impossible coordinates to make the “turtle” on the screen draw haywire designs), and I’m pretty sure I picked up some basic BASIC on a Commodore 64 my dad had. But even when they were right in front of me, computers still seemed so far away. We didn’t have the Internet of Things; we just had things. Take a toy like Bee-Bot, for example. A brightly colored plastic bee with big buggy eyes and a compass of buttons on its back, Bee-Bot is actually a small robot that young children can program to scuttle forward and back, and turn in any direction. After a little practice, kids can navigate Bee-Bot across large activity mats — one lays out the alphabet in a grid, another shows an overhead map of a school, another turns a fairy tale into a traversable narrative. In this way, “programming” Bee-Bot ties into multiple skills and disciplines, while also teaching computing concepts like sequencing, estimation, problem-solving, and directional language. At Harvard, researchers are working on another educational robot named Root. In addition to responding to basic directional commands, Root can cling to whiteboards and draw a line behind it (liberating the “turtle” from the virtual world). A simple visual programming language can be used to build up complex layers of code, and could revolutionize how the abstract ideas of coding are conveyed in the classroom. 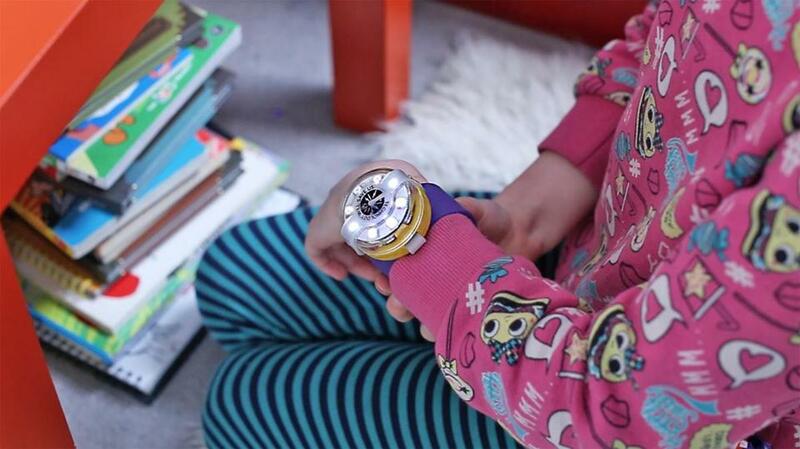 There are also wearables, like the recently Kickstarted “programmable friendship bracelets” called Jewelbots. Where old-timey friendship bracelets would stop at the interchangeable charms and bands, Jewelbots allow friends to connect and communicate with each other. Connected Jewelbots glow to match nearby friends, and can be used to receive messages (i.e. “buzz codes”) in a secret language of color and light. Jewelbots can also be used to signal notifications for just about anything (from weather to new text messages to an approaching curfew) through simple coding on the Jewelbot app. Mover Kit is another Kickstarter graduate, a wearable “active play” doodad that reacts to movement with light and can be programmed into an endless number of new toys. (And taking a cue from the old-school Erector set, kids actually build the Mover Kit themselves.) Using a simple visual programming language, a Mover Kit can quickly be transformed into a light sabre, a toothbrush trainer, a magic wand, or the ultimate hot potato. 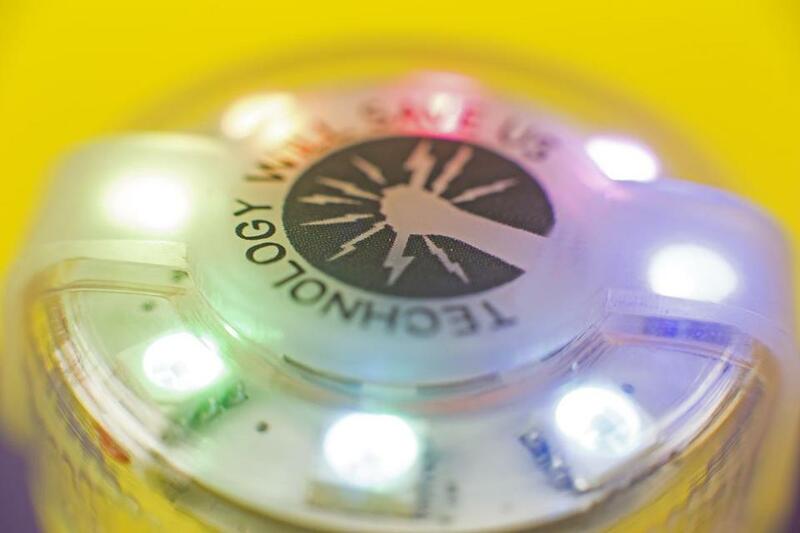 It’s the latest addition to a range of kits created by Technology Will Save Us that allow kids to experiment with everything from basic hardware prototypes to tiny synthesizers and responsive sculptures made from conductive clay (a.k.a. “Electro Dough”). Not all of these new tools take the form of toys. Tynker is an online platform that allows kids to create their own games and apps, and even write modifications for the custom worlds they’ve created on Minecraft (itself a valuable, if indirect, avenue to developing coding chops). MIT’s own block-based visual programming language and community Scratch is fast becoming a favorite among young coders, and has provided a model for such popular kid-code mobile apps as Hopscotch. And for a more hands-on programming experience, the Raspberry Pi is a credit-card-size hardware computer that can teach kids how to program in languages like Scratch and Python to write games and apps, perform science experiments, create music, and anything else they can come up with. Young users can even show off their work at Raspberry Jam events — a hybrid of a science fair and a hackathon.